Former England captain John Terry has rejected a move to Spartak Moscow for family reasons, the 37-year-old defender said on Wednesday. Terry is a free agent after leaving Championship club Aston Villa when his contract expired at the end of last season. British media reported that Terry had a medical ahead of his proposed two-year deal with the Russian club. "After considerable thought, I have decided to decline a contract offer from Spartak Moscow," Terry wrote on Instagram. "I would like to take the opportunity to thank Spartak and wish them and their supporters well for the rest of the season. "They are an ambitious club and I have been very impressed with their professionalism. But after assessing this move with my family, we've decided this is not the right move for ourselves at this time." 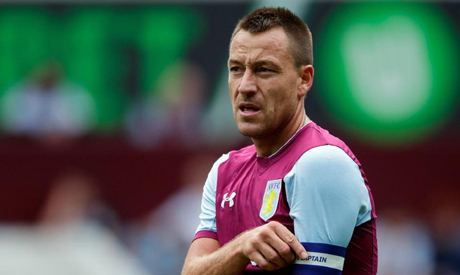 Central defender Terry made 36 appearances for Villa in all competitions last season and captained them to the Championship playoff final, where they lost to Fulham. He made more than 700 appearances for Chelsea, winning five Premier League titles, five FA Cups and the 2012 Champions League.